Anyone that knows me knows I’m a whitetail freak. I’m in love with hunting whitetail deer and everything that goes with it. 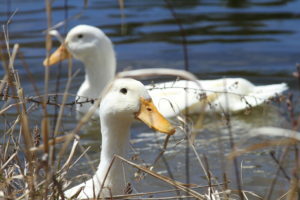 However, as much as I love to hunt the actual deer, I am just as crazed about hunting their sheds after season is over. Picking up a shed antler gives me just as big of a rush as sitting in my stand and hearing a deer walking around on the fallen leaves in the timber. 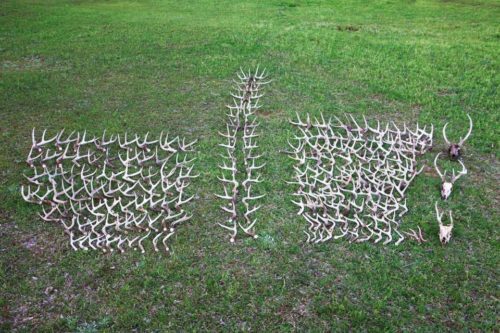 This past shed season, my husband and I found over 200 shed antlers and 3 dead heads. I can’t begin to tell you how rewarding it has been. We were able to spend so much quality time together doing what we love, got in some serious leg workouts, and we even introduced our little girl to the sport. She came along on every shed outing and will have an eye for them before we know it. 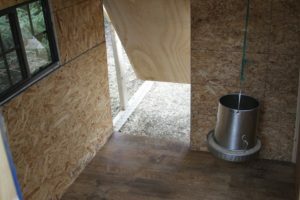 In this article, I will be discussing benefits, tips, and ideas for what to do with your sheds. 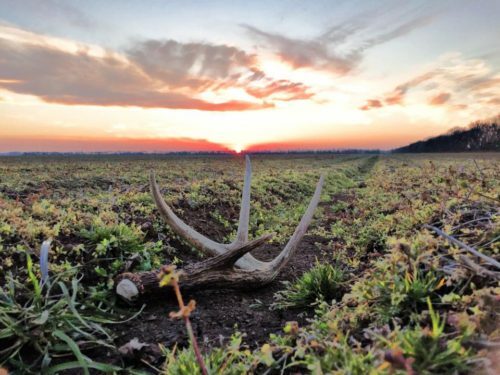 There are so many benefits involving shed hunting. First and foremost, it’s a wonderful way to get in some quality time with family and friends. 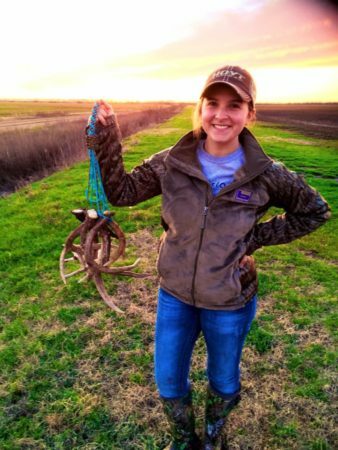 Finding shed antlers to an outdoor enthusiast is the equivalent to a child’s Easter egg hunt: extremely exciting, full of fun and the amount of pride that fills your soul when you pick one up. I’ll add, also, that it’s an excellent way to get in some serious exercise. 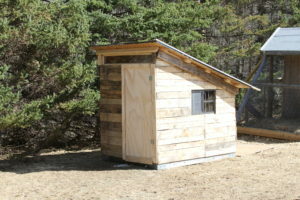 Successful shed hunting requires a lot of walking, though some are lucky enough to have terrain accessible enough for four wheelers and/or horseback riding– both of which are effective ways to be successful. However, for those that don’t have land that is ATV accessible, get walking. Walk your food plots. Walk your trails. Walk your fence lines. Walk, walk, walk, walk, walk. 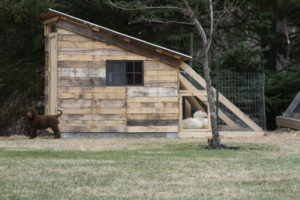 Getting outside and walking your property for sheds gives you other advantages, like getting to know your deer herd’s travel patterns, and also what deer made it through the season. Plus, it’s just flat out fun. Like I stated previously, walking and/or driving/riding your property is key. You have to put in the time to be successful. Think like a deer, just as you would when considering what location to hang a tree stand or trail camera. Go places the deer go. 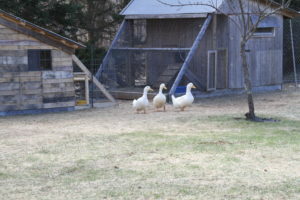 Find their bedding areas and their feeding areas and you will be golden. Places where you know bucks will have to make hard landings, like jumping over fences or ditches are excellent places to look. Just because the rut has come and gone, doesn’t mean bucks don’t spar. With that being said, walk your food plots. Walk the open areas where deer congregate. Something I also understand is that not everyone has their own land to go look on, which brings me to my next tip. Just ask. You would be surprised at how many people just don’t care for sheds, or better yet, want them off of their property: farmers especially. This past season, about 90 percent of the property I shed hunted on was from people that I had never met a day in my life, most of them being farmers. 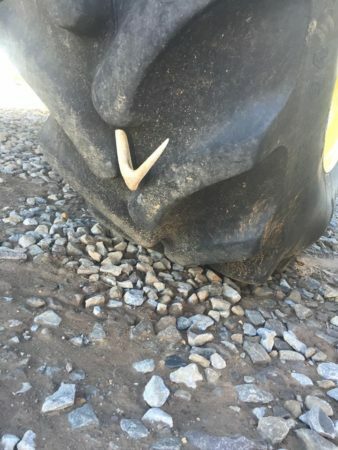 Sheds pose a threat to tractor tires and most farmers hate them. Almost every response we got when we asked for permission from farmers was, “find them all and take them all,” and most of them even gave us names and numbers of other farmers. The fun doesn’t stop after you’ve picked up a load of bone. There are countless ideas to explore with your antlers. 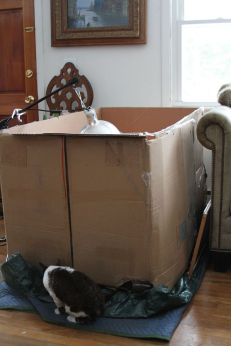 Decorating is my favorite thing to do, as I have sheds laying everywhere around the house. Nowadays, with websites like Pinterest, the creative opportunities are endless. I’ve seen everything from jewelry holders and fall decorations, to chandeliers and doorway entries. 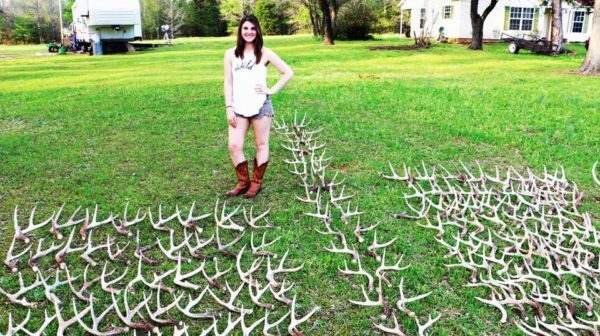 Believe it or not, there is actually a lot of money potential in your shed antlers if you’re willing to sell them. This year, while out, there were a couple of guys from Colorado in the area where we were hunting that were searching for sheds as well, and were willing to pay $16 dollars per pound. Crazy, right? I, for one, like to keep the ones I find. 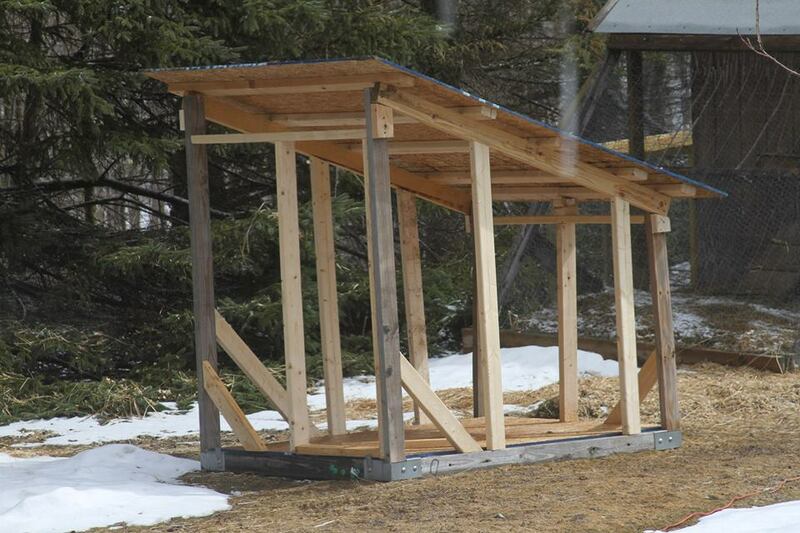 With all that being said– get out there this upcoming shed season. 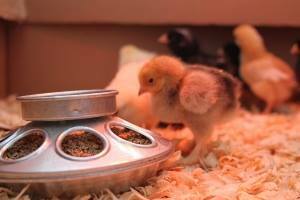 It’s very rewarding and an experience that will develop into an obsession. 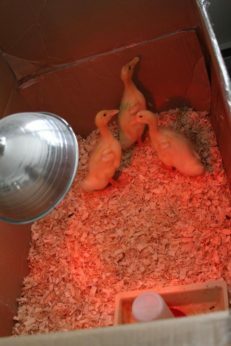 Cajun Bradley is a lifelong lover of hunting and the outdoors, especially waterfowl hunting. 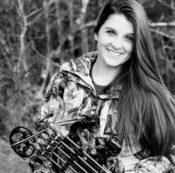 She is a member of the Huntress View team, an organization formed to help strengthen the ever growing community of women hunters. 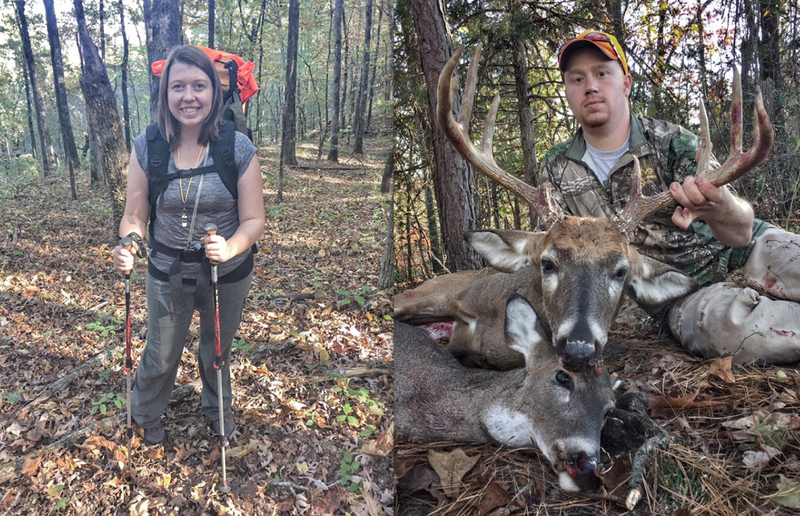 Southwest Missouri resident Jessi Dreckman, who is married to an avid hunter, says deer season for non-hunting spouses shouldn’t be spent inside as “the hunter’s widow(er).” Instead, she urges those individuals to learn to love their spouse’s passion for hunting, and to get outdoors and find their own passion. I’m the type of woman who has been known to spend 15 minutes, tupperware container in hand, trying to trap a red wasp that had wandered itself in my bathroom in order to take it outside and release it safely. 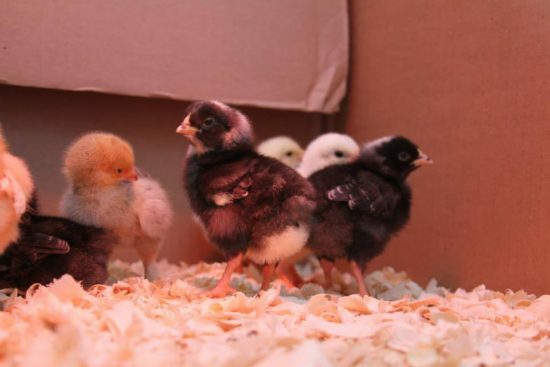 I’m the type of woman who has been known to spend the morning cooking warm oatmeal and delivering it to the hen house out back when there is two foot of snow on the ground, just to warm the bellies of my little egg producers. I’m the type of woman who releases fish I catch. Even the really, really big ones. I’m the type of woman who has been known to relocate the snakes I find in our yard down the road a ways instead of taking the shovel to them. So, my love for hunting may not be immediately apparent to those who first meet me. But in addition to being that type of woman, I’m also the type of woman who fell head over heels in love with a hunter – and therefore, hunting itself. My husband Drew and I have been together through thick and thin for 13 years, ever since our first date when I was just 16 years old. We’re opposites in many ways, but our mutual avid love for the outdoors that unites this opposites-attract couple in a way nothing else can. So when the air turns cool and crisp and the leaves start to brown, I try not to hark on the fact that the season of being a hunter’s widow begins. Don’t get me wrong, the time my husband is home during September through February is minimal, but hunting season is also backpacking season. So it’s a time of adventure for both of us in different ways. So, while Drew is waking up before dawn to find his way to a tree, I’m waking up shortly after to the trail head. When his heart jumps to the sound of the crinkle of leaves beneath him, my heart is pumping from hiking fifteen miles with a 30 pound pack on my back. When he is in his deer stand, close to the heart of nature, I am on my feet under the treetops, heart just as full. And when we do have precious moments together, we spend it with one another in the outdoors. My heart-pumping orienteering trip through the forest is an opportunity for Drew to scout for deer. His trip to put up a deer stand is an opportunity for me to tag along and test out my new hiking boots. And when he’s made a kill and we sit down to butcher and process deer, we share our separate stories of our adventures with one another. And we love every minute of it. The truth is, although we spend our time in different ways, our hearts are very much the same. 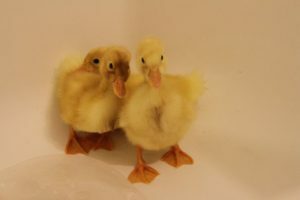 Through our time outdoors we’ve developed patience, determination and passion – and our love has only grown. So to all of you fellow non-hunting spouses out there, please don’t spend hunting season alone focusing on your partner’s lack of presence. Instead, use those precious moments to go do what you love. Because when you find your own way to feel that same passion and fire, you realize it isn’t specific to any one hobby – those traits translate to life and love too. Get out there and find what makes your soul come alive!